Rajasthan has always fascinated people from all over the world with the grandeur of its forts, palaces and the architecture of its havelis. 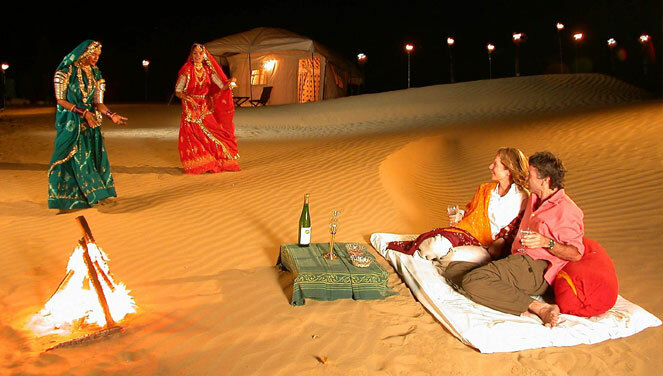 The best of these with various other attractions can be found in Jaipur and Udaipur alone. Jaipur, the City of Victory, also called the pink city of India, was originally Sawai Jaipur, named after its founder Sawai Jai Singh II (1700-1743). The sunset pink tinge of its walls, buildings, temples and emporia gave it the name Pink City. Jaipur was built in a grid system with wide straight avenues, roads, streets and lanes and uniform row of shops on either side of the main bazars, all arranged in nine rectangular city sectors (Chokris). The principal monuments of Jaipur are concentrated in the centrally situated palace sector (Chokri Sarhad) in and around the City Palace. The city itself is an attractive creation worthy of universal admiration. Accommodation in Twin & Triple Sharing for 08 Nights / 09 Days on Bed + Breakfast basis. All transfers, tours, & drives by AC Indigo car ( for 02 & 03 Pax. ) as per the itinerary above & our personal care and attention. Upon arrival at Delhi, our Executive will meet you at the Airport followed by transfer from Airport to Hotel. Overnight stay at Hotel in Delhi.